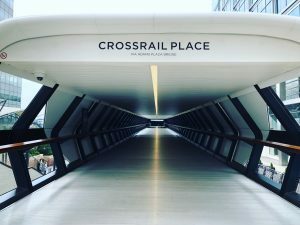 The effect of the long-planned Crossrail link through London that is nearing completion has been seen in a rise in rents near to the line, research has shown. Analysis from Landbay of the areas near the 38 stations on the route that are outside of London’s central Zone 1 shows that average rents were £1,376 in June 2018 – up from £1,193 in January 2012. That’s a growth of 15.34%, compared to 8.20% rise in rents in the rest of London over the same period. Leading the way in growth on the route, which stretches from Reading in the west to Shenfield in the east, is Southall where rents have grown by 38% since 2012 to stand at an average of £1,517. Second on the list is much further east, with Manor Park seeing rents go up by 37% while Romford, further down the route from Manor Park, is third on 30.5%. However, the project has been controversial and recently the opening date was pushed back by nine months to autumn 2019 to allow for more testing. At £15.4bn, Crossrail has gone over budget by an estimated £600m. “The Elizabeth Line will improve access to the centre of London for thousands of commuters, but it comes at a premium for renters,” said John Goodall, chief executive officer of Landbay. In 2017, Emoov said prices along the Crossrail route had increased by 80%, compared to the rest of the capital at 77%. If other big infrastructure projects that are on the horizon, such as HS2, come to fruition then the property market in places like Birmingham, Manchester and Leeds could see similar side-effects to felt in London. The post Rents rise along Crossrail route appeared first on BuyAssociation.